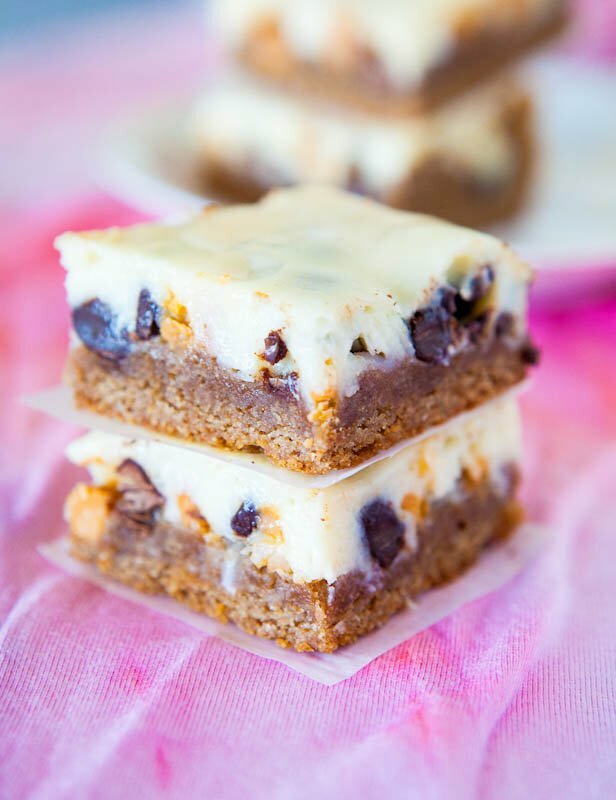 One of my favorite desserts of all time is Seven Layer Bars. 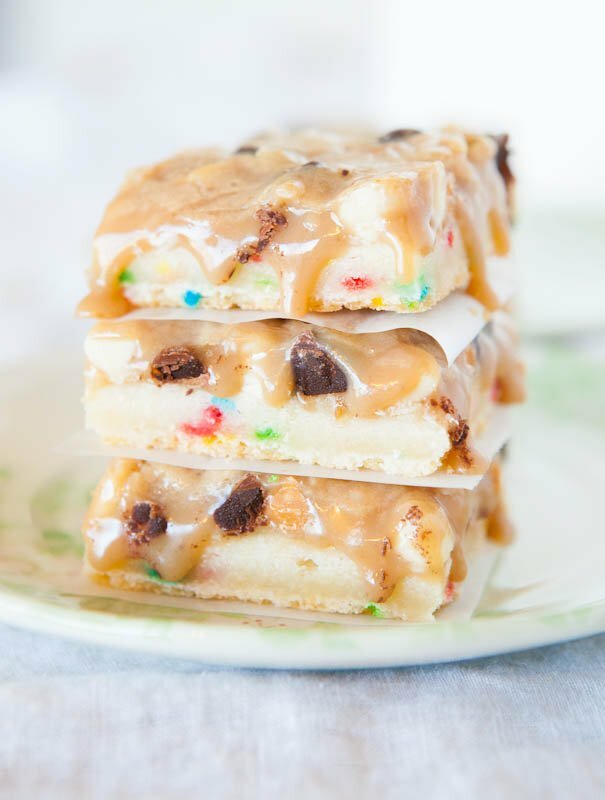 Or Magic Bars. Or Hello Dolly Bars as they’re sometimes called, depending on what potluck or bake sale you’re at. 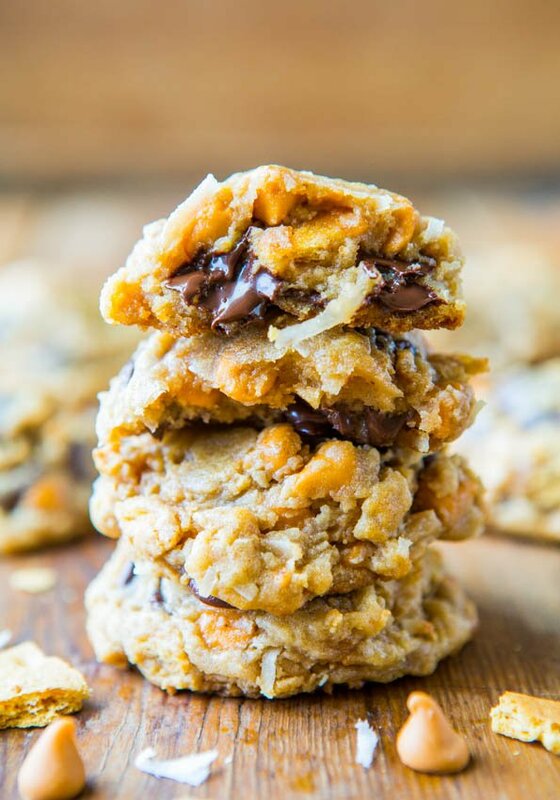 I brought the flavors and texture of the classic Seven Layer Bars into cookies, and they’re some of my favorite cookies ever. 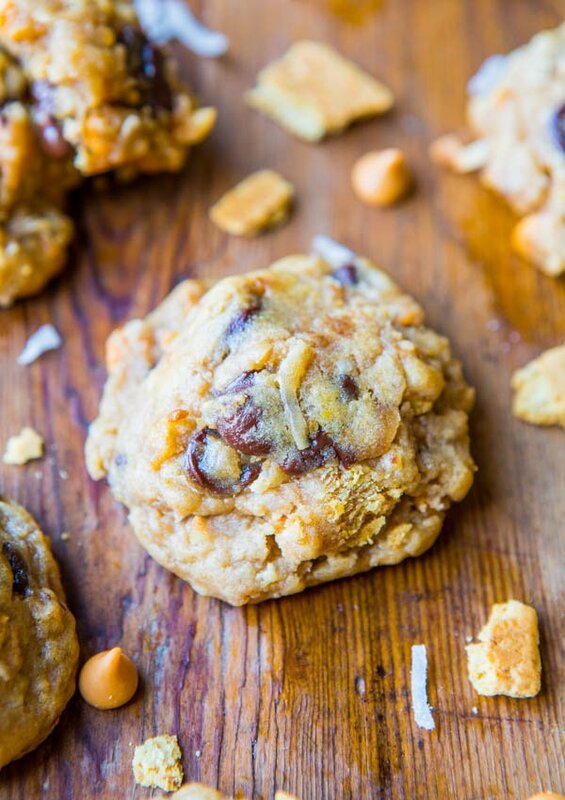 The cookies have some chewiness around the edges but are soft, squishy, tender and moist in the middle. All the textures and layers of flavors just do it for me. 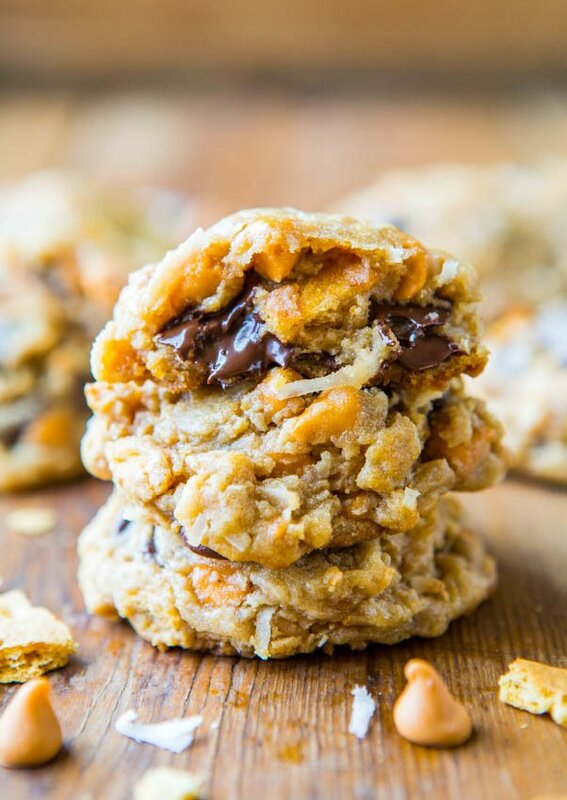 The more, the merrier and these cookies are loaded with graham crackers, two kinds of baking chips, and coconut. The coconut almost acts like oats would, providing heartiness, chewiness, and plenty of texture. If you’re not a big fan of coconut, not to worry, it’s not a pronounced flavor and doesn’t dominate. It’s present but not overwhelming, and while you could possibly omit it and add more flour (I know I’ll be asked), it’s a key ingredient in Seven Layer Bars and something I recommend keeping for flavor, texture, and authenticity. The cookies are a couple layers short of seven, missing nuts and sweetened condensed milk, but I don’t like nuts in bars anyway and always omit them. 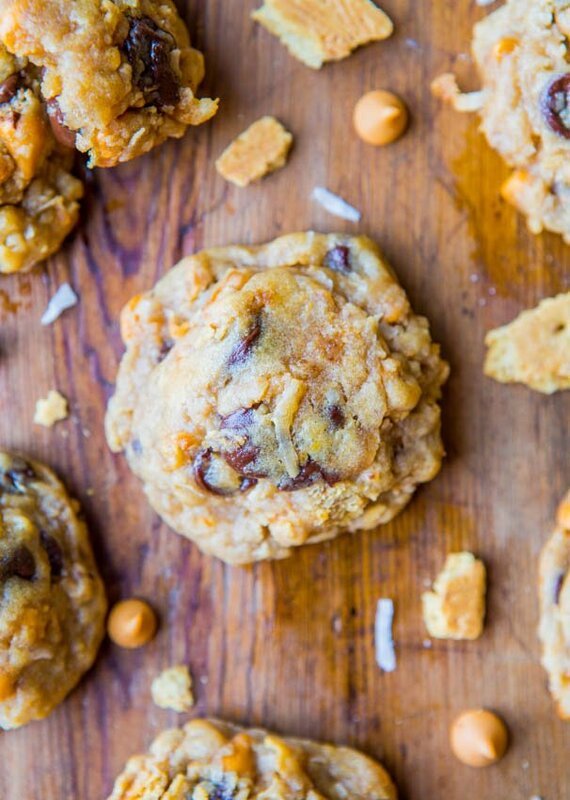 And sweetened condensed milk is just not cookie-friendly. Save it for these bars. 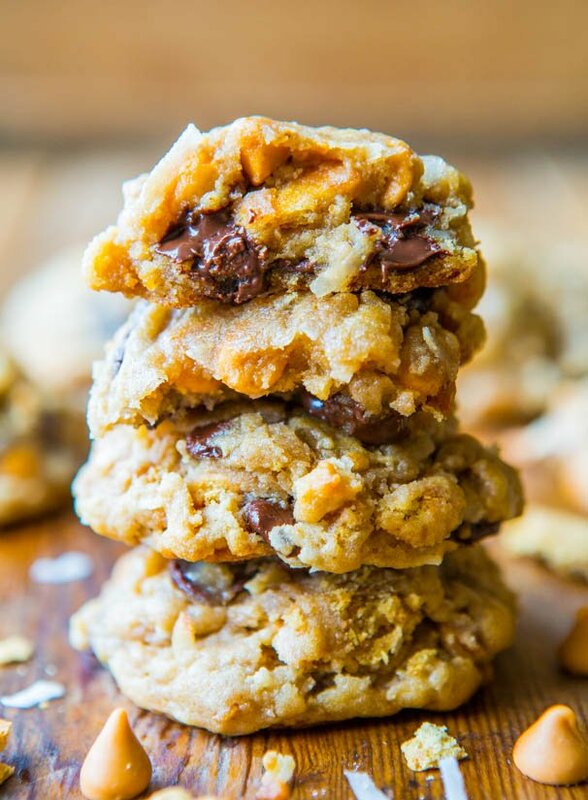 The ingredients that match up are butter, graham cracker crumbs, shredded coconut, chocolate chips, and butterscotch chips. I adapted my favorite chocolate chip cookie base because the cookies turn out perfectly, every time. There’s cornstarch in the dough and I highly recommend trying it if you haven’t hopped on the soft cornstarch cookie bandwagon yet. 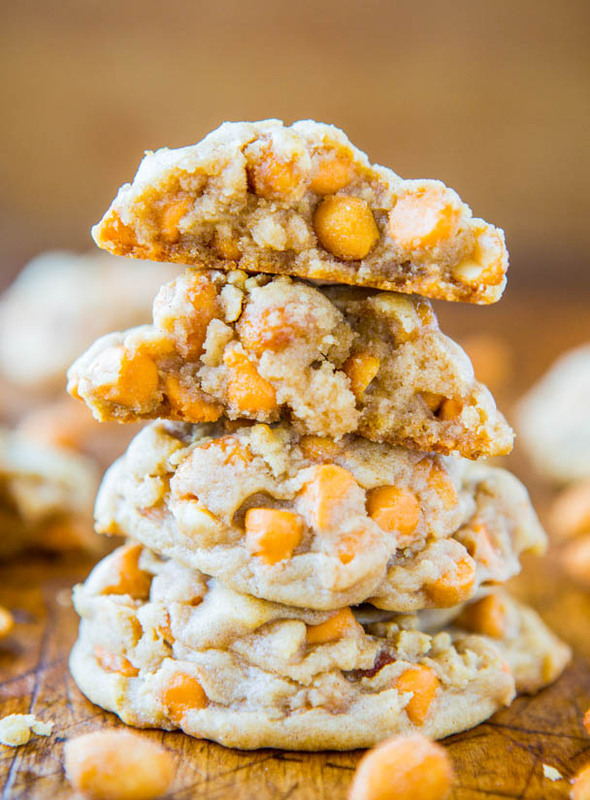 Other cookies with cornstarch include M&Ms Cookies, Snickers Cookies, Twix Bar Cookies, Caramel Corn Chocolate Chip Cookies, Soft and Puffy Peanut Butter Coconut Oil Cookies, Soft and Chewy Smores Cookies, and Softbatch Funfetti Sugar Cookies. 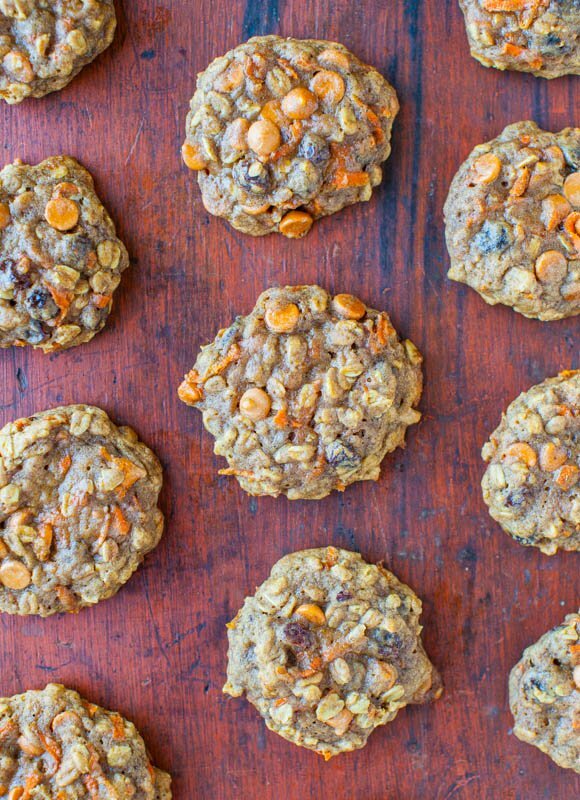 After making the straightforward cookie dough, it’s time for the add-ins. I chopped the graham crackers rather than pulverizing them into crumbs, creating some nice surprise pieces peeking out from the dough. 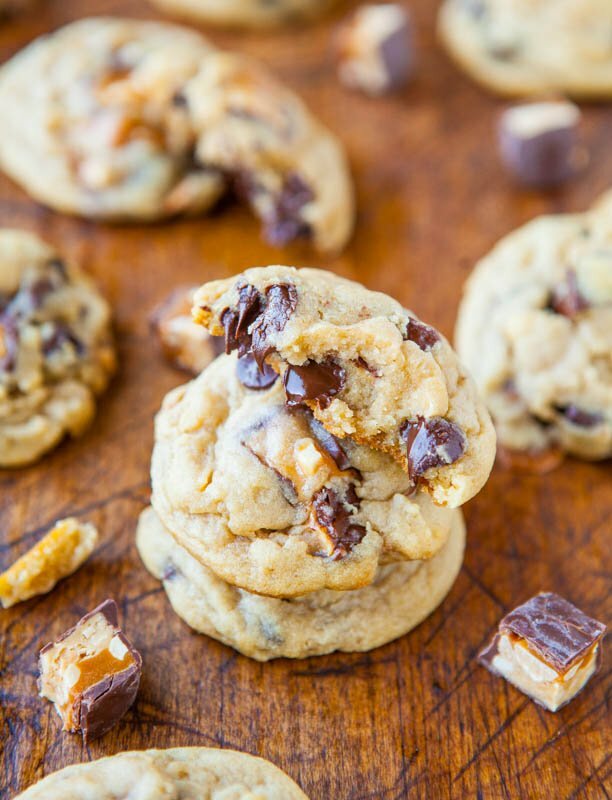 The pieces soften while baking, but retain some crunch, adding to the texture party going on. Keep a close eye on the cookies and don’t overbake. 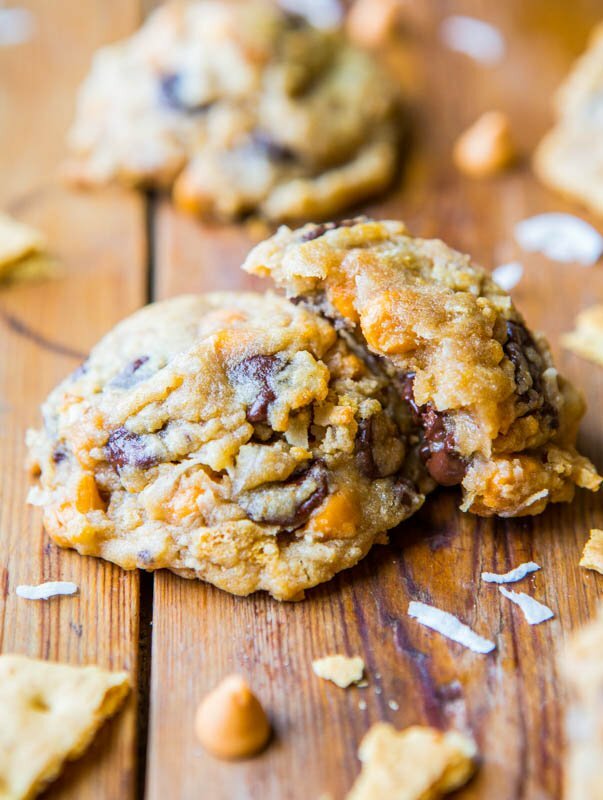 Coconut is prone to burning and the cookies taste best when they’re a bit underbaked, pillowy soft, and gooey. 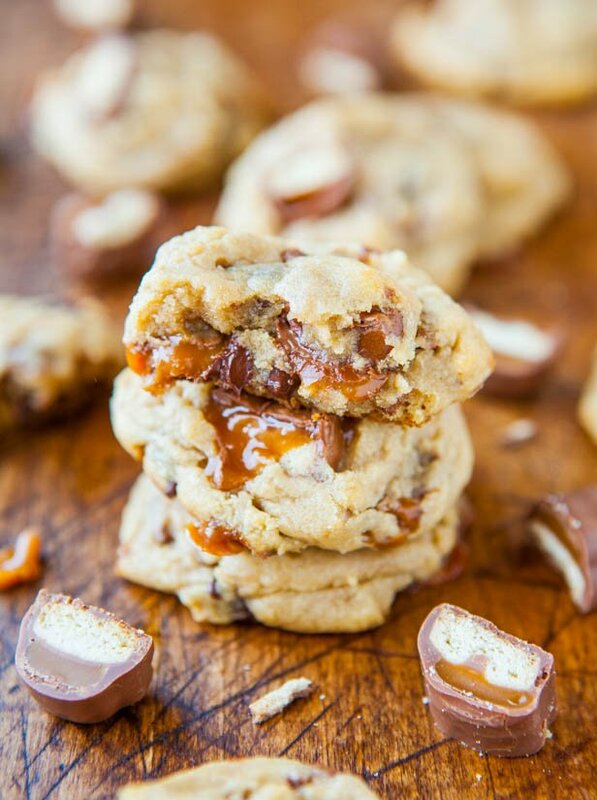 There’s something about the combination of butterscotch with coconut, chocolate with graham crackers, and tossing it all together in one recipe that’s so satisfying. Marriages of complementary flavors, at their finest. 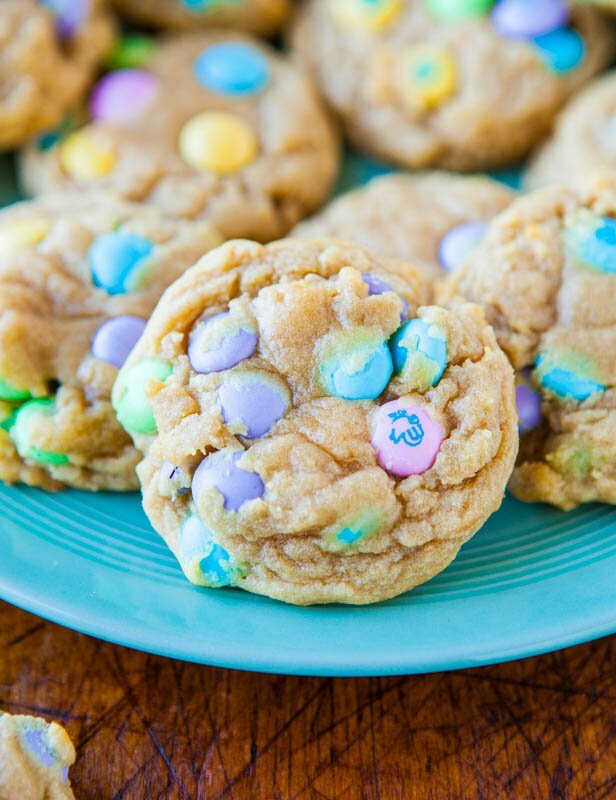 The cookies remind me of the potlucks, church basement bake sales, Girl Scout troop meetings, graduations, and so many of the celebrations and parties I attended growing up in rural Minnesota. There was always a pan of Seven Layer Bars. If some other lady didn’t bring a pan, it was one of my mom’s signature last-minute desserts, and one I secretly hoped would go untouched so we could bring home the leftovers. Never the case though. 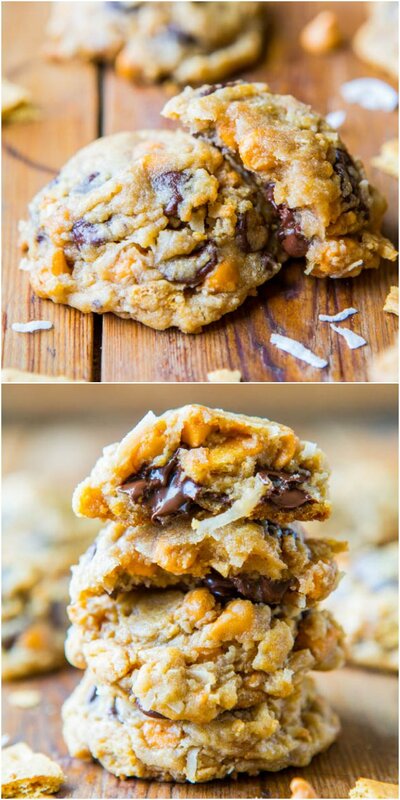 I’ll always have a soft spot for the original bars, but the cookies have my attention now. Soft, chewy, melty, tons of textures and flavors. One of the best cookies I’ve made in 2013. Other top nods this year go to these, these, and these. 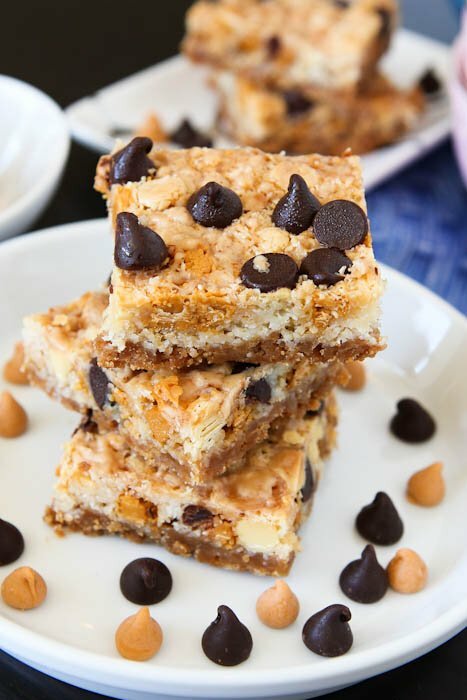 Seven layer bars are one of my favorite desserts and I created soft and chewy seven layer cookies in honor of the classic bars, minus a couple layers (nuts and sweetened condensed milk). 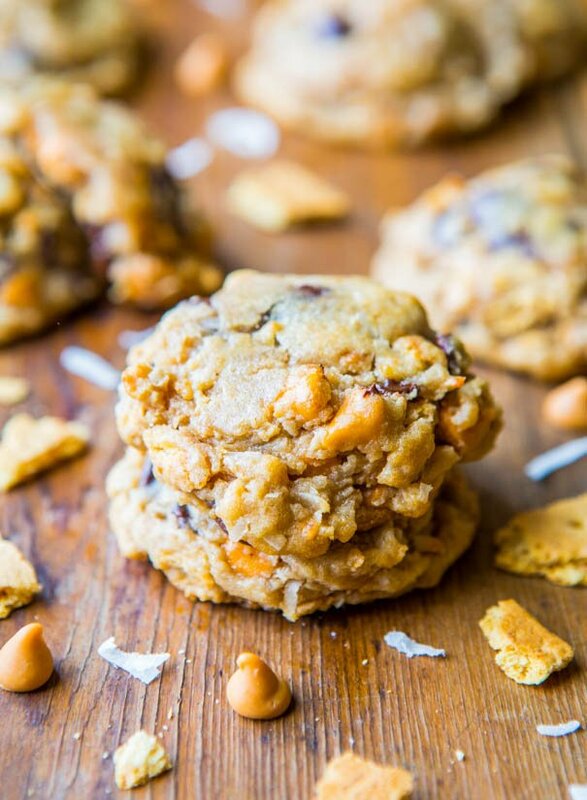 The cookies are loaded with texture from the graham crackers, coconut, butterscotch and chocolate chips. They have some chewiness around the edges but are soft, squishy, tender and moist in the middle. 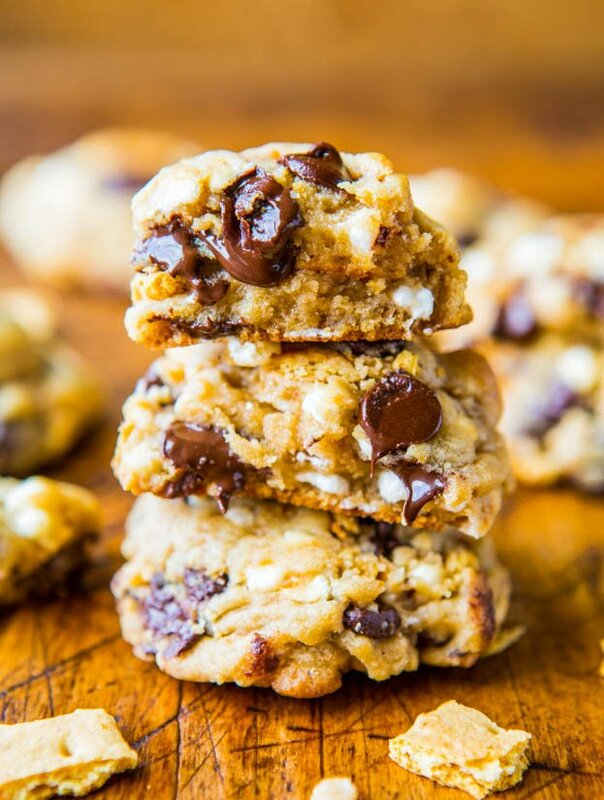 For any Seven Layer Bar, Hello Dolly Bar or Magic Bar fans, these easy cookies loaded with the classic flavors are a must-try. Preheat oven to 350F, line a baking sheet with a Silpat, or spray with cooking spray. Place mounds on baking sheet, spaced at least 2 inches apart (I bake 8 cookies per sheet). Bake for 8 to 9 minutes, or until edges have set and tops are just beginning to set, even if slightly undercooked, pale and glossy in the center. 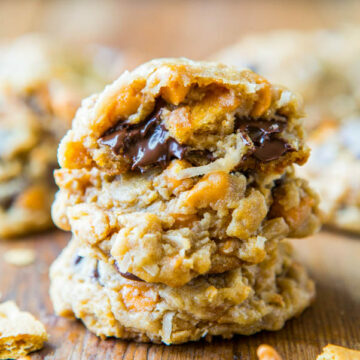 Do not bake longer than 9 minutes for soft cookies because they firm up as they cool (The cookies shown in the photos were baked with dough that had been chilled overnight, allowed to come to room temp for 15 minutes, and were baked for 8 minutes, with trays rotated at the 4-minute mark. 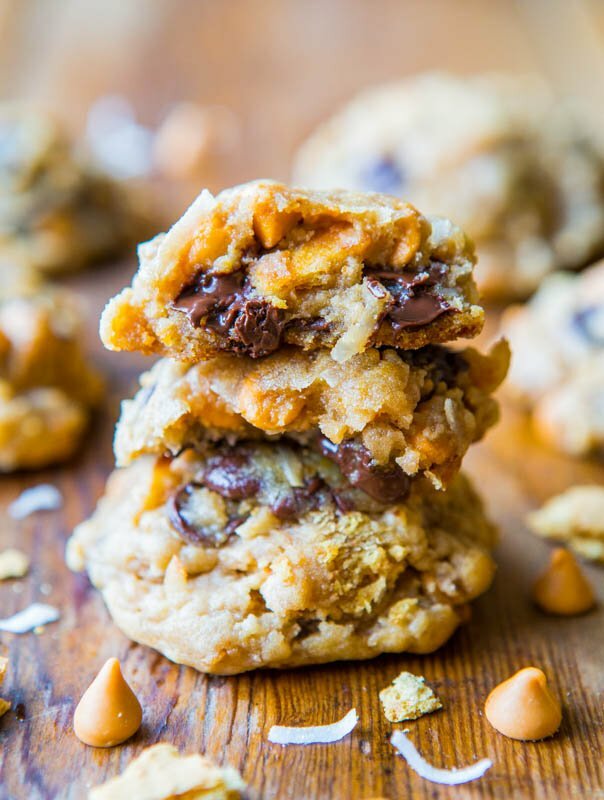 They have chewy edges with soft, pillowy, gooey centers). Allow cookies to cool on the baking sheet for about 5 minutes before removing and transferring to a rack to finish cooling. 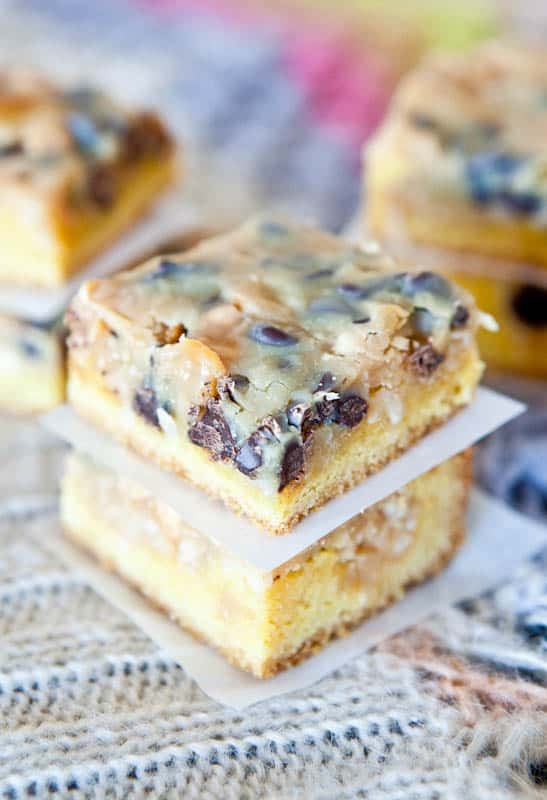 Do you like Seven Layer Bars? Any fun twists you add to the recipe? Yes you can add nuts. I’d go with maybe chopped walnuts or pecans but really you can use whatever you’d like.